Miranda's Mumbles, Murmurs and Mutterings: A different kind of bus ! If you spend a frustrating amount of time in a city, stuck in traffic on a bus that looks like its going nowhere fast.... have faith! 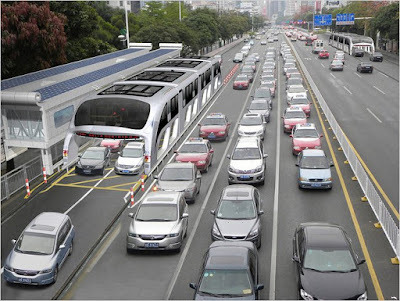 Soon, we may have such things as elevated buses that travel above the traffic.